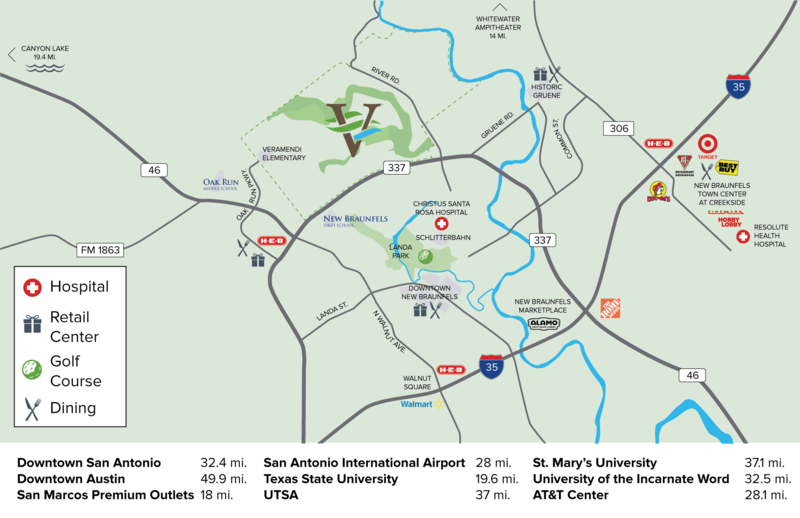 In the heart of the Texas Hill Country lies the beautiful community of New Braunfels. Our homes for sale in New Braunfels, TX are unique. Refined by old-world German heritage and complemented by an unrivaled quality of life, it’s no wonder this town of 69,000 is visited by more than two million tourists each year and has grown by 58% in the last decade. Come taste a little of New Braunfels, where home is the place you live, work, and play! New Braunfels’ astounding beauty and leisure opportunities, coupled with the hospitality of the locals, brings droves of tourists to the community every year. Many come for the beautiful rivers or to visit one of the four top 20 attractions in the State of Texas which are located here. Others come for the live music, the festivals, the beautiful downtown, the jobs in New Braunfels, and the overall culture. All in all, there are plenty of things to do in New Braunfels! Home to the largest German Festival, WURSTFEST, where this “Ten Day Salute to Sausage” keeps the founding heritage alive each year in November. More than 100,000 visitors attend this unique event to enjoy German food, song, and gemetlikite. WURSTFEST New Braunfels is something the whole family is able to enjoy and with the beautiful New Braunfels weather, you’ll be able to enjoy the time outdoors in the spectacular, warm climate.